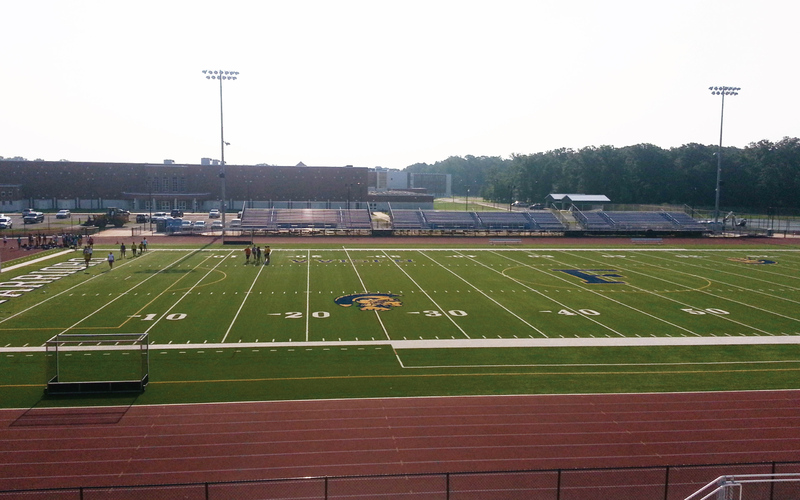 DRG completed the design of a multi-phased athletic field expansion and renovation at Franklin Township High School. 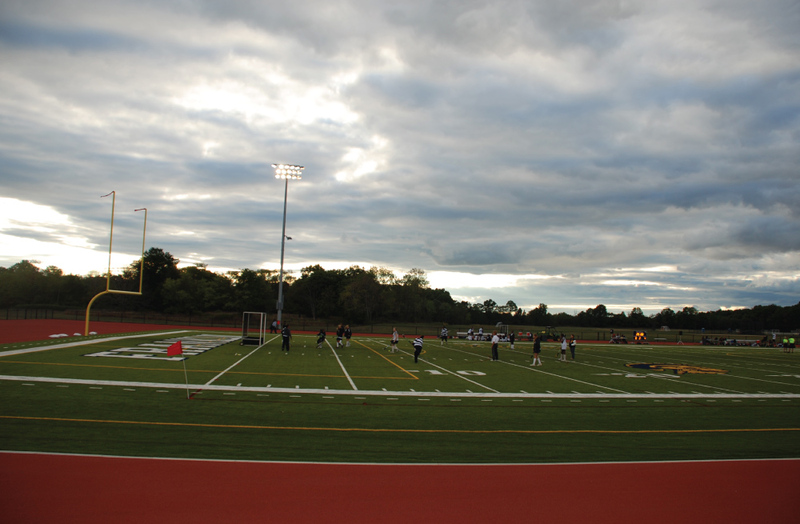 The total build-out of the project includes a new synthetic surface football field, 2 synthetic surface multi-use fields, an 8 lane track, 5 baseball/softball fields, bleachers for 3500 people, new team rooms, concession stand and press box. DRG worked with our Site/Civil engineer to develop handicapped access to the bleachers, concession stand and press box from the adjacent parking lot. This included sloped walkways onto the site and a series of ADA compliant ramps. 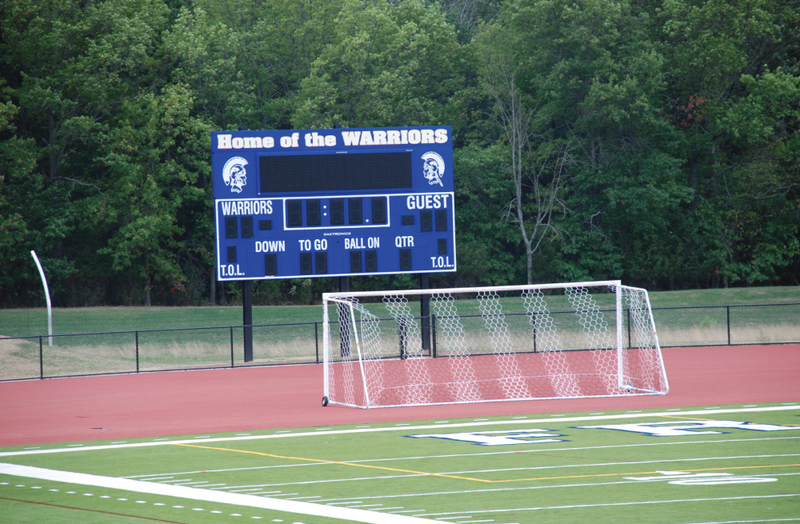 Additional amenities include a digital timing system, sports lighting for night events, a new electronic scoreboard and a new entrance plaza/ticketing area.